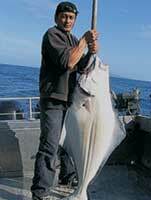 Enjoy fishing for Salmon, Halibut, Cod & Crab 'Shoreline' or 'Offshore' at Swiftsure Bank. Many other services including Fresh Water Fishing, Scuba Diving, Ocean & River Kayak Tours, Kite Boarding 2 day intro courses. Visit devoniancharters.com for full info, including what to bring with you on your charter. DEVONIAN is a luxurious 30ft x 10ft "Northwest Aluminum" dive/fishing boat, fully equipped & outfitted with heated cabin & head and a self-inflating Zodiac life raft for off-shore expeditions. We can accommodate big groups! Up to 6 people on one boat, no need to split up groups. Prices are based on 4 persons. Can accommodate up to 8 with an extra charge for each person after 4. An initial 20% Reservation deposit is required for your booking. Cancellations not made before the applicable time period may result in forfeiture of the full reservation deposit, that is unless we are able to re-book, at which time you only will be charged the $25.00 booking fee.